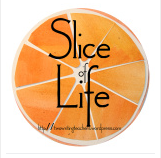 Two Reflective Teachers: Slice of Life: It's not my story! Slice of Life: It's not my story! My slice of life is happening even as I write. My teenage daughter is working on a personal narrative that she will receive a stakes grade on, and it's due tomorrow, and she keeps asking me for help. I've reminded her (and me) that it's not my story. Plus, I have a mantra, and many of you share it, as it comes from Lucy Calkins: Teach the writer, and not the writing. I'm trying. I'm really, really trying. I'm struggling. I'm really, really struggling. She's working on a google doc, and that complicates the issue for me. It's SO easy to make comments on those docs, and where's the line between teaching the writer something that will be transferrable, and telling the writer something to do on that one piece of writing? I made a comment where I told her to think about four ways to stretch the important moments of her stories: action, dialogue, description, and inner thinking. "Well, where should I do that?" she asked. You can bet she rolled her eyes when I suggested she's really the one who should decide on the important parts. "It's your story," I said. "It's not my story." She rolled her eyes again when I asked if she had a rubric or a set of expectations from her teacher, and she opened up her classroom. Sure enough, there was a rubric with a list of clear learning targets. I have to say that I don't love that she's writing a story that will receive a ___/50 total points, but I do appreciate that the list of clear expectations are there for the students. "I don't really have any of this," she said, and I could tell she was close to tears. "I hate writing narratives. I hope I NEVER have to do this again." An invisible dagger sliced through my heart, but I agreed stories can be hard, and we had some ways we could think about revision that could work with all narratives just in case she ever has to write another story. Together, we sketched a story mountain of her story, and then I taught her about an emotional arc. That helped her change some of her plot points in ways that even she had to admit made better sense. As I write, she's still sending screen shots of some of her revised scenes, working hard to get me to better her writing. As I write, I'm trying to think of answers and responses that nudge her to do most of this thinking on her own by looking at the rubric and self-assessing whether she's met those targets of if she could do more. How tough, I felt your pain as I read your post! Tough stuff Mel. But I heard a great quote today- “If you’re comfortable you’re not growing.” Good luck! You used your best coaching in such a difficult situation. Hopefully in the end you both felt accomplishment. I can so relate. I still cringe when I feel I HAVE to write a narrative! If a story comes to mind, it's fine. But when it's write a story with ____ and ___, all I can say is ICK!